The Hotel Guardalavaca is a Super-included hotel, offers the visitor reception available 24 hours and multilingual personal, beauty parlor, service of rooms and of laundry, tourist information, rent of cars and of motorcycle, connection to Internet, infantile club and medical services. 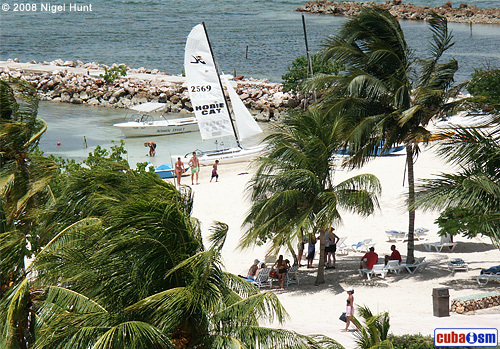 The Hotel Guardalavaca offers them a varied gastronomic offer through 4 restaurants and a barbecue. Buffet Market "El Zaguan": Located in the Villa, with capacity for 270 diners, offers plates of the national and international kitchen. Breakfast: 7:00am at 10:00am, Almuerzo: 12:00m at 2:30pm and Eaten: 6:00pm at 9:30pm. Restaurant to the letter "The Trattoria": Located in the hotel and specialized in the Italian cuisine, opens their doors from 6:00pm to 9:30pm. 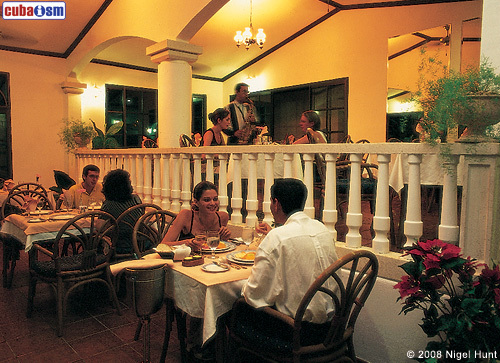 Restaurant "El Patio": Located in the Villa and with capacity for 60 diners specializes in fish and shellfish. I eat lunch to the grill: 10:00am to 2:30 pm and Food to the Letter: 6:00pm at 10:30pm. 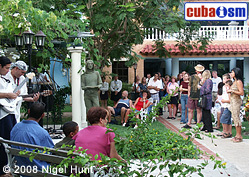 Buffet "La Turquesa" one: Located in the hotel and with capacity for 210 diners offers plates of the Cuban and international cuisine. Breakfast: 7:00am at 10:00pm, Lunch: 12:00m at 2:30pm and Eaten: 6:00pm at 9:30pm. 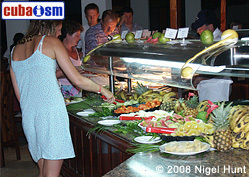 Grill "Islas Mujeres": Located in the hotel offers slight foods from 12:00m to 6:00pm and of 9:30pm at 7:00am. 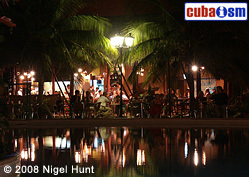 If of bars or facilities where can enjoy some pleasant drink it is the Hotel Guardalavaca it has 8. Lobby Bar "El Tejado": Located in the Hotel and with a capacity of 80 people, offers national and international drinks from 9:00am o'clock up to 11:00pm o'clock. 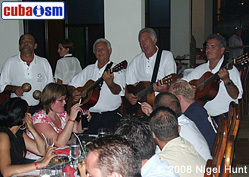 Bar "Islas Mujeres": Located in the Hotel and with capacity for 60 people, offers national and international drinks the 24 hours of the day. Aquabar: Located in the Hotel and with capacity for 24 people, offers national and international drinks from 9:00am o'clock up to 5:00pm o'clock. Coffee Bar "El Patio": With capacity for 88 people, offers national and international drinks from 9:00am o'clock up to 11:00pm o'clock. Brown Bar "El Capuchino": Located in the hotel and with capacity for 25 people, offers their services from 6:00pm to 11:00pm. Coffee Bar "El Zaguán": Located in the Villa, with a capacity for 270 people, opens their doors in the following schedules: 7:00am at 10:00am. 12:00m at 2:30pm. 6:00pm at 9:30pm. Disco/Karaoke "La Dolce Vita": Located in the Hotel and with capacity for 150 people, offers their services from 11:00pm o'clock up to 2:00am o'clock. Wet and Dry Bar "The Tinaja": Located in the Villa and with capacity for 40 people, opens their doors, in bathroom area of 9:00am at 5:00pm and outside of the pool of 9:00pm at 11:00pm. The animation goes directed from the smallest, with the most amusing thing in the club of children, until to the adults. Court of games with table tennis, billiards, bingo and other table games of 9:00am at 10:50pm, Karaoke of 10:30pm to 11:30pm three times to the week and Shows varied in the call "Patio de los Artistas". 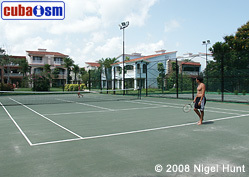 Will be able to the most diverse sports enjoy, so much terrestrial as aquatic: tennis court, bicycles, gym, pool (2 for children and two for adults, located one in each section of the hotel and open of 8:30am at 6:00pm), whirlpool, sauna, diving and veils, among others. 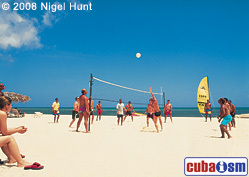 Welcome to my site dedicated to the Hotel Guardalavaca in Holguin, Cuba. I am "poco a poco" researching and updating it with the aim to provide as complete as possible record of the hotel's ancient and recent history; bearing in mind that the goings-on today may one day be of historical interest.